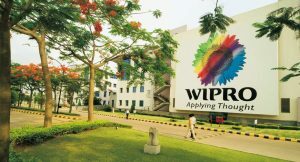 Information Technology and Software Service giant Wipro Limited recently announced its third Industrial Internet of Things (IIoT) and Centre of Excellence (CEO) in Kochi today. “With the rollout of the Kerala Fibre Optic Network (KFON), the ambitious fibre2home enterprise institution network in the next 18 months, local economy stakeholders will increasingly benefit from IoT deployments. So, Wipro’s decision to set up its third global IIoT lab in Kerala is a timely one and I hope it grows into a major development centre in a short period of time,” he added. Recently Wipro hosted a two-day hackathon on Industrial IoT on March 12-13,2019 at its Kochi development center, which saw active participation from leading engineering colleges in Kerala. Wipro will extend pre-placement offers to the winning participants in the final year of their engineering degree course while those in the penultimate year of their degree programme will receive internship opportunities.